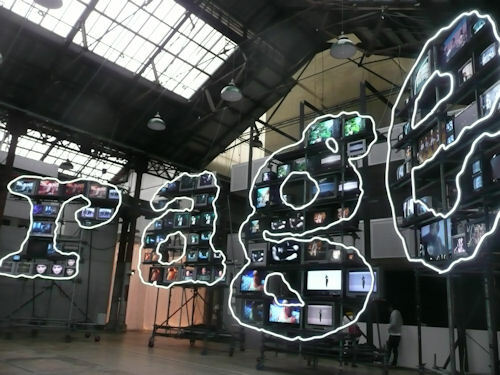 Visited the "Carriageworks and ABC TV present rage – Celebrating 25 years" installation today. It was one of the events as part of Vivid Sydney 2012. Rage was first broadcast on Friday 17 April, 1987. 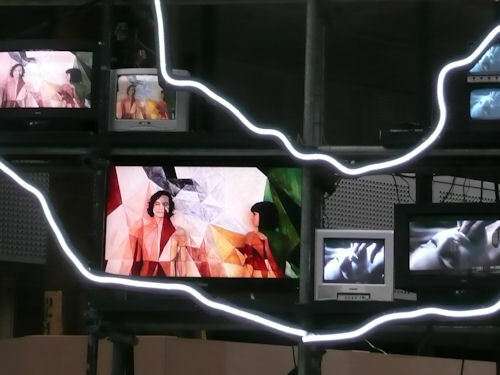 It was cool watching all these retro and contemporary video clips playing on the analogue television sets. There were stands of headphones available so you could also listen to the music video clips as well. Caught the Gotye 'Someone I used to know' clip playing which was pretty cool! We donated our two analogue sets for the exhibition.